Featured » Sound the trumpet! This summer, the last remaining mute swans were relocated from Lost Lagoon to a more suitable private residence. 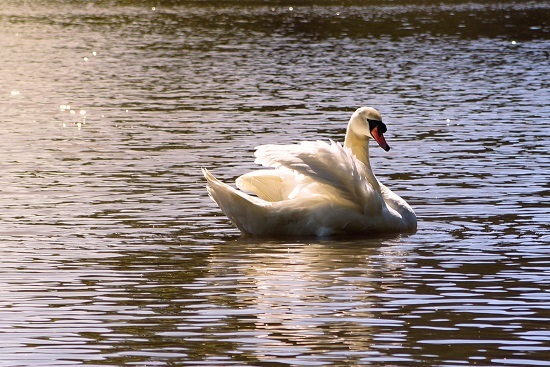 Mute swans are a non-native species that were introduced to Lost Lagoon in the 1950s. As a non-native animal, they fall under special management regulations; they had to have their wings pinioned to prevent flight. Although beautiful to watch, these flightless swans are literally sitting ducks. Throughout the years, they fell victim to otters, coyotes, and off-leash dogs. Such a busy urban park has not been a healthy environment for the flightless mute swans. This is the first winter that Lost Lagoon will be available for our native trumpeter swans to utilize. In the past, the trumpeters would try to land on the water during their migrations, but they would be chased away by the aggressive mute swans. 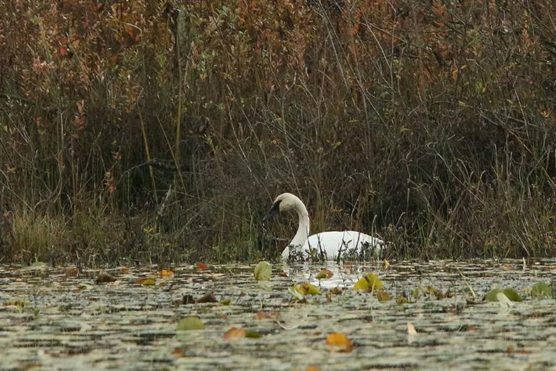 Now that the mute swans are gone, we are hopeful that trumpeter swans will return. Which, as a matter of fact, is what happened on October 28 at Beaver Lake! 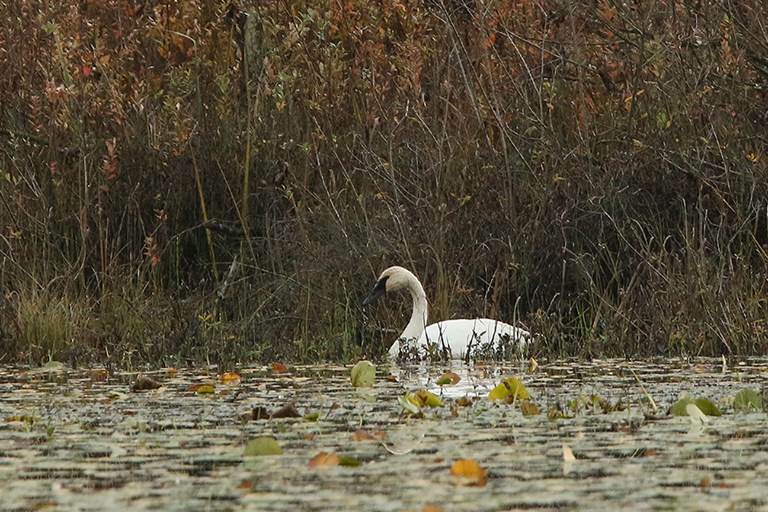 Peter Woods, a local naturalist and photographer, came across a trumpeter swan feeding there. So, keep your eyes peeled for swans with an all-black bill touching down on the still waters of Lost Lagoon.